Spring is here and it's going to be great! This delicious gift is going to make it one to remember. 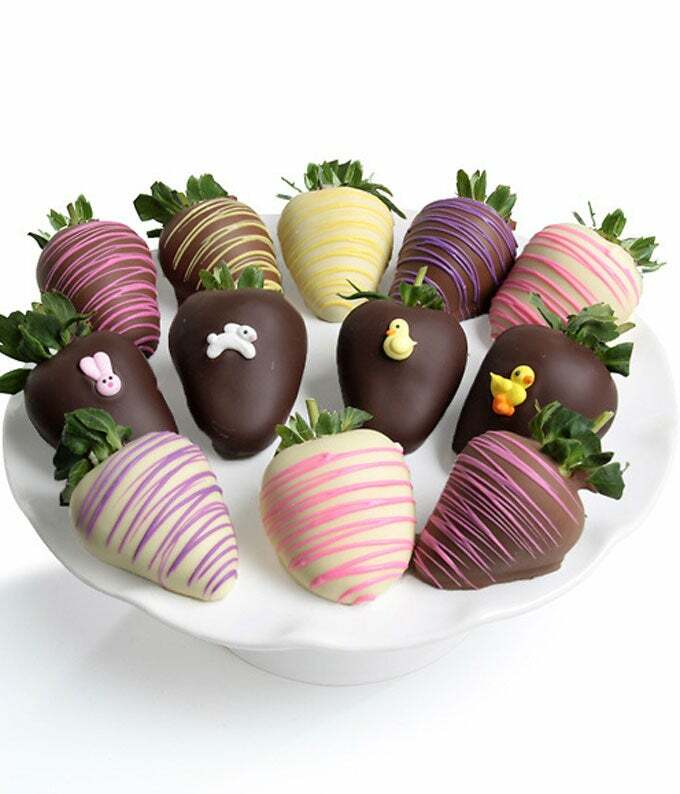 One Dozen delicious strawberries are dipped in glorious Belgian Dark Chocolate and decorated with beautiful Spring & Easter colors and edible decorations.